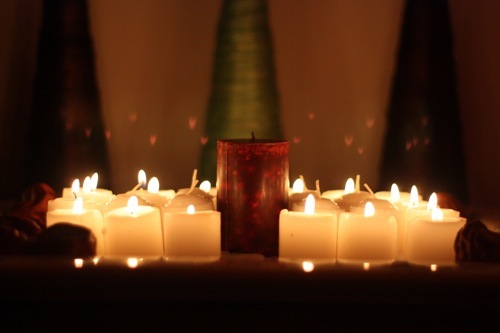 Advent and the Paradox of Hope - The Center for Gospel Culture. When hope touches a broken world, joy is born through groans of longing too deep for words. Hope is a painful thing. Beautiful beyond compare, but painful. Because hope, by its very nature, dares to open itself, to become vulnerable, to trust that it will not be betrayed. But the betrayal of hope is the rule and norm of a broken world. So much so that at the first glimmer of hope we might already feel the nearly unbearable pangs of the disappointment that we are sure will follow. Regardless of what doctrine we believe in our mind, the idea that hope could actually be fulfilled might sometimes feel almost ludicrous to us. Proverbs 13:12 says that “hope deferred makes the heart sick, but a desire fulfilled is a tree of life.” But the last I heard of the tree of life, it was in lost Eden, and the next time we hear of it is when the heavens and earth are made new. And sometimes hope feels like that—like something not of this age, having nothing in common with anything we see, feel, or touch around us; something totally alien. Brokenness and disappointment are the reigning reality. The world as we know it betrays hope. And that is exactly what it did two thousand years ago. Hope Himself was born into this world—the “Tree of Life,” the alien from an “other” realm utterly beyond that which we see and feel around us. This Hope did not remain aloof: He not merely came to Earth; he was born into it, fully woven into the fabric of its brokenness. This hope that we long for, that seems so distant— it is closer than a brother. Perhaps so close at times that we cannot even see it. Jesus was rejected in our stead so that nothing could separate us from the faithful and lavish love of God. That is the comfort that we look forward to, which every fiber of our being was designed to need and to enjoy. If in this life we experience a measure of hope fulfilled, it is a blessing. But if the horizons of this world remain always bleak, may we remember that “blessed are those who mourn,” because to them is given to uniquely identify with their Savior and know a hope (painful though it is) that is especially and perhaps desperately affixed on the great redemption Christ won when, in the midst of your broken world and mine, He himself was affixed to a beam of wood and bled His life away so that we might partake of its fullness. Weeping may indeed tarry for the night. But joy comes in the morning (Proverbs 30:5). And so, with a deep joy appropriate to the anticipation of the coming Dawn, let us follow the advice of the old carol: “O come ye, O come ye to Bethlehem. Come and behold Him”—Hope Himself, born into our present age in as visible and down-to-earth a body as you or I have ever seen, but yet “born the King of angels.” And that is good news indeed! May the overpowering grace of God be a marvel, delight, and comfort to you this Advent season as we remember the coming of the King of incomparable glory, whose faithful love to us is sealed in no less than His own blood, guaranteeing beyond all doubt that “hope does not put us to shame” (Romans 5:5).